Regal, graceful and exuding a highly decorative design – the Veneto is simply stunning. Fluid, organic detail complimented by an area of continuous flow through the mid-column area gathering momentum for continuation. Almost unique in detail – truly “inviting” for an additional look to discover more. 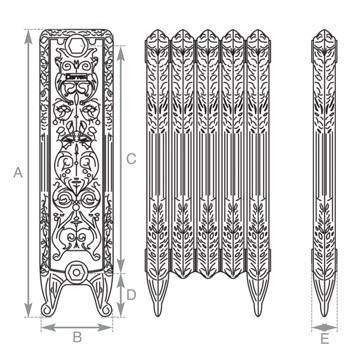 With a regal and ornate design the decorative Veneto ast iron radiator by Carron is very impressive. 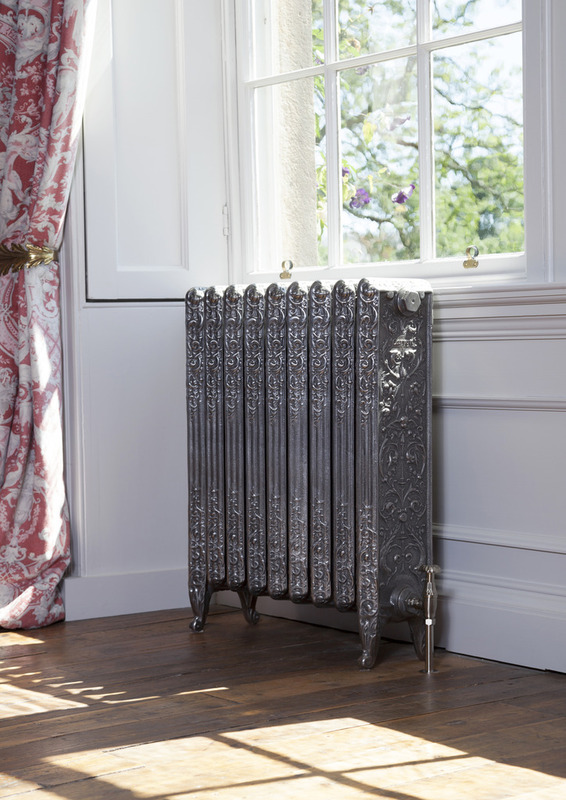 The stunning detailing on the column flows throughout the radiator and is truly one of a kind. The radiator section has a depth of 215mm and a height of 840mm making the Veneto perfect for larger rooms. 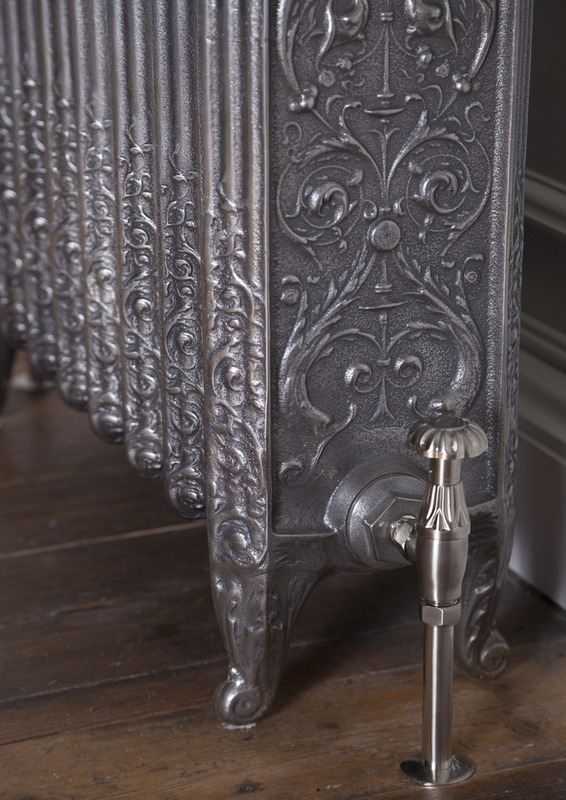 The Veneto style cast iron column radiator has a highly decorative design and is ideal for traditional properties. With its ornate flowing design this elegant radiator can be used in both traditional properties or more contemporary homes. It gives a heat output of 510 BTU’s (149 Watts) per section based on delta 60. We can paint our Carron cast iron radiators in a colour of your choice and paint manufacturer for example Farrow & Ball and Little Green. We can also paint the radiators in any of our standard colours for you. Our range of standard colours include: Vellum, Buttermilk, Parchment white, French Grey, Satin Black, Graphite Grey, Foundry Grey, Hammered Gold, Ancient Breeze, Willow Green, and Hammered Bronze. The sections are first primed, then painted in loose sections before being built and pressure tested. Once tested a minimum of two top coats are applied to create the high quality finish that is expected of Carron radiators. We also have the following luxury finishes available: Hand burnished, Highlight, Satin finish, Antiqued finish and Vintage Copper. Add a traditional style radiator valve in either thermostatic or manual to complement this radiator. 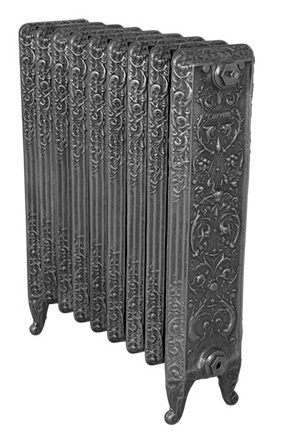 Wall stays are recommended with all of our Carron cast iron radiators except for the Victorian 9 column 330mm tall radiator. You can match the finish to your valves and sleeve kits. Choose from front mounted wall stays or go for a more discreet look using a rear mounted wall stay the choice is yours. The above measurements are given for guidance only and should not be used for the fixing of pipework. Due to our radiators being bespoke and hand assembled, variations in seal compression and the machined faces can occur. We are able to supply measurements prior to dispatch once we have completed the assembly process should you require them. Carron accepts no responsibility for customers/clients who choose to install pipe work prior to having their cast iron radiators delivered to site.